Everyone knows carbon fiber can create a stiff wheel. We knew it could do much more. The carbon fiber rims on our CB7 series wheelsets are 30% stiffer laterally than our legendary aluminum rims, but the key to their outstanding ride quality is Radial Impact Absorbing Carbon Technology. Obsessive attention to the shape of the rim and a proprietary carbon fiber lay-up process lets us create carbon rims that absorb radial vibrations and impacts while maintaining lateral stiffness, keeping your wheels driving constantly forward with less energy loss than other carbon rims. 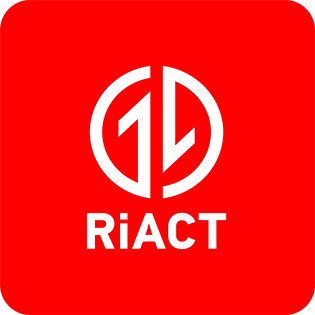 Originally developed for or highly successful Valor rim, RiACT offers added strength, less rolling resistance, and the best ride of any carbon rim. On our Podium SRD wheelset, RiACT lets us create a rim that's lighter than the competition while also being stronger. Our carbon rims can deflect 7-10mm without damage or pinch flatting. Smooth is fast. If there's one thing the overwhelming success of our tubeless technology has demonstrated, that's it. The more forward momentum your wheel and tire can maintain without deflecting off the ground and sending your energy upward and backward, the faster you roll. Our RiACT rims allow the wheel system to absorb more, offering levels of vibration damping and impact absorption never possible before. RiACT lets Stan's Podium SRD, Crest CB7, and Arch CB7 rims and wheelsets roll faster and last longer.